Big-scale atherine. A type of atherine similar to the sand smelt. 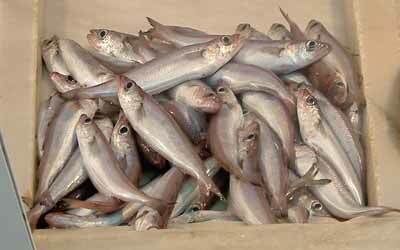 A marine fish, usually deep-fried, it is a small, silvery fish similar to the argentine. When tiny it is treated in the same way as whitebait. This fish grows up to 12 cm.